Best Results, Best Prices, Guaranteed ! 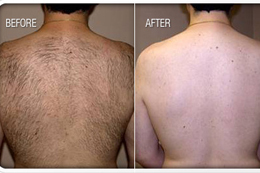 Service Guarantee: We stand behind your Laser Hair Removal results. Our unique Laser Hair Removal Service Guarantee speaks volumes about the quality, integrity and dependability of our services. Ask our Laser Technician representative for details. Experience & Dependability: Our experienced Laser Technicians understand how to maximize the effectiveness of your laser treatment based on your skin and hair type. We will select laser treatments to help you get fast and effective results. No-Obligation Consultations: We invite you to learn more about laser hair removal, costs and treatments with a no-obligation consultation. Our friendly, knowledgeable and professional staff will customize a Laser Hair Removal and/or Skin Renewal program specifically to meet your individual wants, needs, desires, lifestyle and schedule. Affordable Payment Options: We strive to be the best priced laser hair removal service in Waterloo. You can pay per treatment or take advantage of special package plans with very attractive pricing. Once you have taken the first step of booking a consultation, the laser technician will assess the area of concern, discuss all details of the treatment including expectations and pre-treatment protocols, while addressing any concerns and questions you may have. At this time a patch test on the desired area would be performed at the appropriate laser parameters. 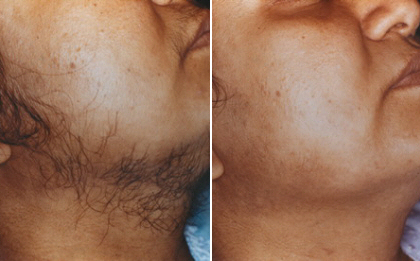 During treatment, all surface hair is removed by shaving or snipping to prevent any damage to the skin. The laser emits a near-infrared laser light that is absorbed by the pigment located in the hair follicle. The laser generates heat in the hair shaft, which diffuses to the stem cell and matrix targets to cause desired damage. In addition to the treatment protocol, it is important to know the growth cycles of hair. Hair growth has three stages: Anagen (active stage), Catagen (regression) and Telogen (resting). In order to achieve permanent reduction, ideally the hair follicle should be destroyed by the laser during the anagen or active stage of hair growth. At Aaina Spa & Salon we use a YAG medical laser for optimal results. Permanent results are expected after 6-8 laser hair removal sessions. Buy two laser hair removal sessions and get the second session at 50% off! Just mention this promotion when purchasing. Promotion is valid for one time use. Permanent results in 6-8 sessions.